Good morning everyone! It’s Monday, but it seems like it was Monday just yesterday. Time flies by sometimes faster than you want it to. I’m working on many deadlines; tax returns are due out April 15th and ‘Oakley’ is supposed to release April 15th. Hopefully now that I’m making headway with the huge pile of tax returns on my desk I’ll get back to writing. I made a huge dent in them yesterday. I work best on the weekend when my phone isn’t ringing off the hook. I can turn on the tunes and work without much interruption. Categories: Uncategorized | Tags: accounting, Books, Deadlines, taxes, Writing | Permalink. Have you ever been caught staring at someone? Come on, you know you have. I’m a people watcher. It’s part of being a writer. I’ve been sitting in a crowded room before and noticed someone doing something out of sync with everyone else. Of course then my overactive imagination stitches a story regarding why they’re acting different. I’ve actually written stories based on people watching. It’s really fun to sit back and watch a couple in love. You wonder what their story is and then you piece it together with your own spin. Maybe they met by chance or have been friends for years and turned the tables. What’s really fun is you don’t know their true story, but your imagination can expand on what the eye sees. If they’re holding hands and giving those cute lovey looks, you can expand on the romance side of the story. Maybe they’re newlyweds or just newly dating. It’s up to your imagination. I love to watch people in love. Guess that’s why I love weddings. A wedding can fill many pages of your mind. Most of the time I know the person getting married, but I’ve attended weddings where I’m not too familiar with the couple. I can sit and imagine their love story, the engagement and the romance. It’s fascinating really. Categories: Uncategorized | Tags: Authors, Books, Couples, Dating, Imagination, Imagine, Love, Married, mind, Newlyweds, Pages, People, Problems, Romance, story, Weddings, wonder, Writing | Permalink. Do you feel the luck of the Irish? Happy St. Patrick’s Day to all! Can you find the 4 leaf clover in this picture? 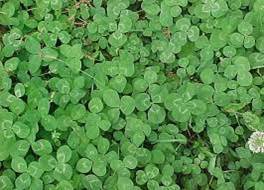 Sometimes I think publishing a book is like a clover field. There are so many authors out there publishing and trying the same as you. Will you be found in the clover field? Will someone pluck you from the field and give you the luck of the Irish? It’s the gamble we take every time we hit the PUBLISH button. But it’s worth it. 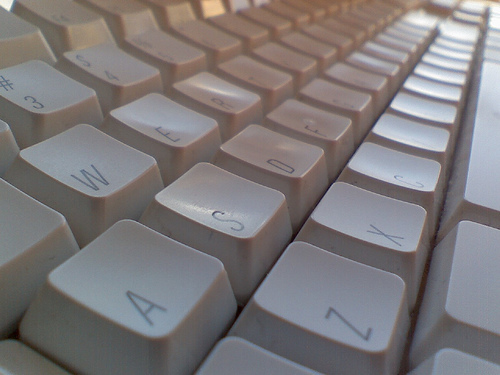 For me I feel as though my luck was found the moment I typed the first word and finished the first book. It’s been such a wonderful experience but I do hope to one day be pulled out of the crowd and maybe have some luck of the Irish thrown at me, but until then I’ll keep publishing and joining the crowd. At least I’m in good company among my fellow authors. Categories: Uncategorized | Tags: #amwriting, 4 Leaf Clover, Authors, Books, Clover, Coming Soon, Five Oaks Ranch Series, Irish Traditions, Love, luck, Luck of the Irish, Publishing, Release Date, Romance, St. Patrick's Day, Writing | Permalink. It’s time to write! What tools do you use to set up and get ready? Do you have a writing ritual? Well here’s a little look into my writing tools and what I need to write. When I sit down to write I do it in a couple of ways. If I’m in the mood for a warm, lavender scented bath and want to write I grab my trusty pen and pad, well that used to be the norm, but now I grab my phone and use a dictation app, then download to my computer. It’s a great way to relax and write at the same time. But I suggest you let anyone in the house know what you’re doing. My son thought I was talking to myself. What if you’re in the car waiting in line or maybe waiting on your child to get out of school, well use that time to write. I keep a pad and pen in my purse for just that moment. Now I use my dictation app on my phone, but usually in this situation I use my writing pad because people look at me strangely if I’m talking and there’s no response. Ok, when I’m in my normal writing zone which is the corner of my comfy couch, I usually have my laptop in my lap. But since I downloaded my phone app, some days I dictate then edit, but when I’m in the writing zone, you know the one, where I’m totally into what I’m doing, I love to feel the keys under my finger tips. I also have a large spiral notebook and pencil within reach for character changes and notes. If you don’t do this, then I suggest you start. It helps keep the facts straight. As any writer will tell you it’s imperative that you have a cup of something within reach. I usually have either coffee or warm flavored tea handy. If I’m writing in the early morning hours I have coffee, but for the afternoon writing I grab herbal tea. It’s just a good way to stay focused. Some writers say they can’t write with noise around them, but some days if I’m writing a pivotal part of the story I need music. If it’s a sad part, then I play something somber, but if it’s a dramatic part, well I play something to go with that. Sometimes music inspires me to go in a different direction than maybe I’d planned. The sounds not the words inspire me. Well, that’s a little bit of how I write and what I use as far as the tools. I’m working on a post for later regarding the programs that I use in designing and writing my books. Since I own a publishing service now I’ve expanded that list. So be on the look out for that post. Don’t forget that all of March weekdays I’m offering a sale on my website of my paperbacks. Go over to stephaniehurtauthor.com and check out today’s savings. Also, Oakley is coming soon, so if you haven’t read Ridge yet, there’s still some time to get into the Five Oaks Ranch series and meet the Cauthen clan. Categories: Uncategorized | Tags: #amwriting, Authors, Books, Romance, Writer's tools, Writing | Permalink. This is the view from my front porch this morning. The temperatures have finally warmed up and the threat of rain looms, but you can’t tell by the gorgeous sunrise. The fog is starting to clear and is barely visible in this photo. I feel inspired as the vibrant colors stream through the front windows. As most of you know from reading my posts I try to get in my word count every morning. 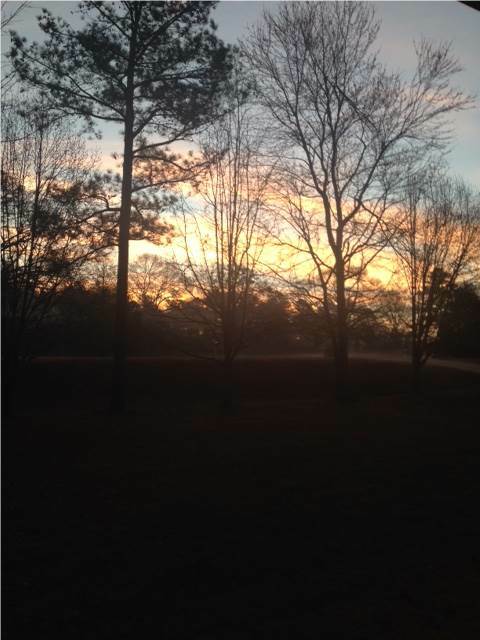 This morning as I woke at 6:00 my body and brain felt heavy and filled with inspiration zapping fog. I dragged myself out of bed and fixed breakfast for my son. As I poured the coffee and the delicious aroma steamed up to my nose I smiled. Yes, I need several cups of coffee. Since the time changed the sun comes up later and that always makes it hard for me to wake up. But one look at this beautiful sunrise I feel inspired to get to work. I can do this is the feeling it inspires. Categories: Uncategorized | Tags: #amwriting, accounting, Author, breakfast, caffeine, coffee, front porch, Inspiration, Inspire, Mornings, office, Rain, Romance, Sunrise, Word Count, work, Writers, Writing | Permalink. As we slowly transition into Spring the rain starts. Here in Georgia we’re looking at rain until Sunday. Of course it’s better than ice, but it’ll make a long, dreary week. In the back of my mind I wonder in the threat of cold weather is gone or if this is just a tease. At least we had a gorgeous weekend which helps with this dreary Monday. The clocks moved forward this weekend and hopefully you changed yours, if not you might be late for work, just sayin’. It always throws my body into a crazy frenzy when the time changes. I feel tired and sleepy, but am trying to meet my word count goals this morning. For those that have been asking what I’m working on, well it’s Oakley. This book is really fun to write. It’s been humming along nicely. I’ve received so many nice emails and calls about fans enjoying Ridge and I know you’ll enjoy Oakley. This series is beginning to become one of my favorites. I’ll be releasing some snippets before the release date is revealed. Now, back to the lousy weather this Monday morning. How does the weather affect your writing? Do you write better when it’s snowing and cold, wet and miserable or sunny and delightful? As for me it’s a toss up. I love to sit by the fire when it’s cold and write, but on sunny, warm days it’s nice to sit outside and write. But I do have to say that sometimes the rain puts me in a blah mood, but sometimes it gives me the right mood to write. Hope everyone has a great Monday and don’t forget to scoot over to my website to see what the March Madness Sale for the day is… stephaniehurtauthor.com. Categories: Uncategorized | Tags: #amwriting, Books, Feelings, Georgia, Rain, Sale, Snow, Sun, weather, Word Count, Writers, Writing | Permalink.